When planning a remodel for your backyard, durability of the design should always be taken into account. Landscape is an investment, and you want it to last as long as possible. When you call in our landscape experts, they will make that a priority, which is why we know pavers are the better choice for Midwest backyards. The freeze and thaw process of winter makes pavers a durable choice over stamped concrete. Unlike pavers, stamped concrete forms a solid, wide surface that trends to crack and break over time due to its inability to flex as the ground freezes and thaws. Eventually, the whole slab will need to be torn out and replaced. 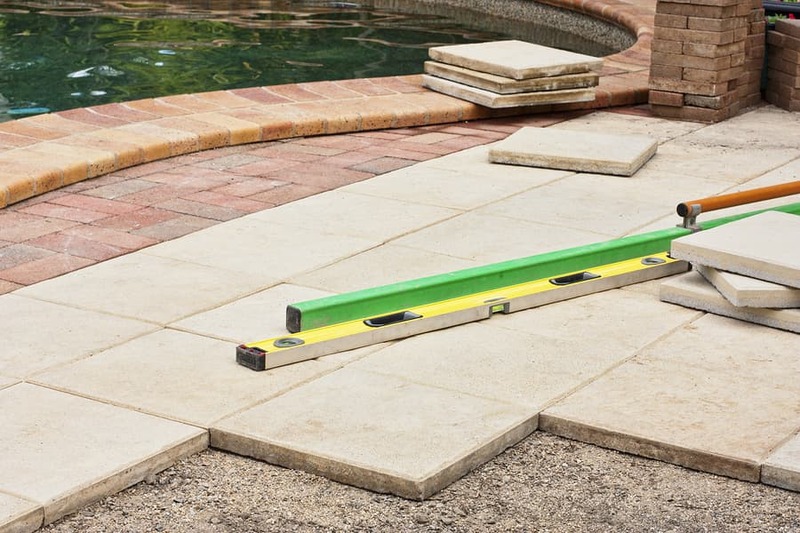 If pavers need replacement, it’s usually due to them becoming uneven. It’s much more affordable to replace or reset individual pavers than to redo a whole patio of damaged concrete. Plus, you can still get a variety of colors, sizes, and designs in pavers. We’re experts in pavers and their installation. We can create a unique look if you want to set your patio apart. Long-term, you want what’s best for your landscape and wallet. When properly installed by experts, a paver patio will last a lifetime and will rarely need to be reset. Meanwhile, stamped concrete will eventually need a complete replacement, which could also become a liability due to its cracked base. Get the best for your landscape project and give us a call to receive expert, quality service at affordable prices. We offer initial consultations so you can learn even more about our process.